Google is going through a major change in how they rank websites. Google changes their algorithm hundreds of times a year, but most changes are minor. This change, however, is one of the "major" changes. Google recently announced they were underway with their long-foretold mobile-first search index change. If you aren’t prepared, the mobile-first index could result in a major change in your search engine rankings. If you want to keep your ranking, you need to be prepared before Google implements their mobile-first indexing. It is simple and takes 30 seconds. Today, everyone has smartphones with them, constantly communicating and looking for information. What is the best mobile strategy? 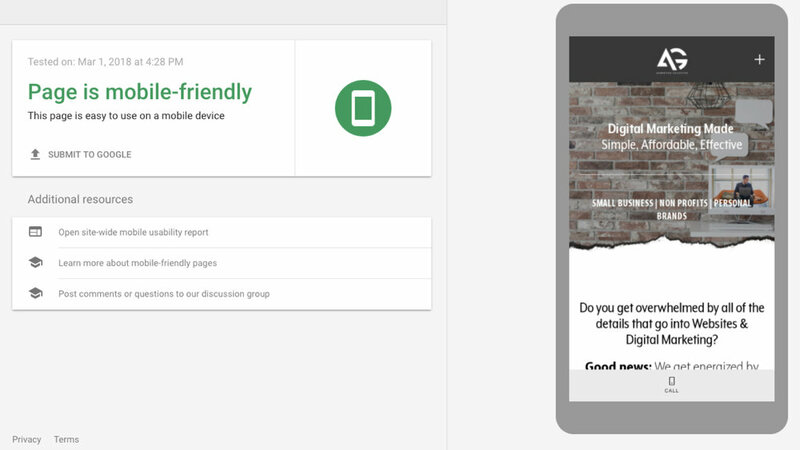 check out Neil Patel's Step-by-Step Guide to Leveraging Google's Mobile-First Index. If you aren't happy with your mobile test results, send us a quick message. We'd love to chat about it with you.